Established in 2011 Angry Guppie is a small, nimble and accessible design firm with years of experience in the interactive and graphic design space. Your project will be attended to by industry veterans who honed their skills in large corporations and agencies in NYC. We are dedicated to ensuring your creative project is targeted, on message and compelling, allowing you to focus on the business of marketing your product or service. Our clients include major lifestyle, publishing, financial and entertainment companies, as well as advertising/marketing agencies and independently owned businesses. WHAT CAN ANGRY GUPPIE DO FOR YOU? We can, and will, provide first-class creative without the large agency fees. Services available include Creative Art Direction, Illustration, Infographic Design and Logo/Branding development. We can also offer additional support services to assist in the management of your creative projects if required. We’ve organically grown from staff service provider to strategic planner. Of course, on any given day, the need pendulum swings one way or the other. We are flexible and experienced enough to fill either role and we wholeheartedly embrace this partnering style. To learn more about how we can help you move your creative and marketing campaigns forward, contact us today. Your brand, multiple channels. Keeping your print and digital messaging fresh across your marketing program is a challenge. Angry Guppie can help keep your marketing design story consistent across all of your online and traditional collateral. Visually compelling brand identity programs engage customers and shape their impression of your product or program. 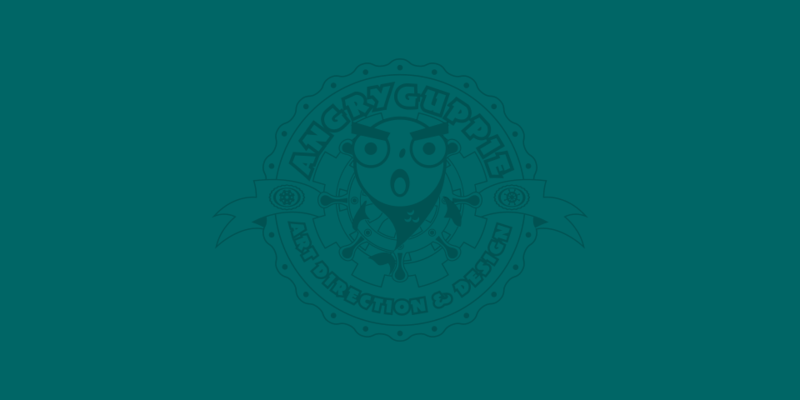 Angry Guppie can create logos and branding that will drive visibility and recognition to maximize your brand extension. Compelling illustrations and infographics help solidify your message in ways that move beyond the written word. Angry Guppie can provide custom graphics, scalable across all of your digital and print messaging.